When you send out queries asking agents or editors to look at your work, it may help to have an e-mail address devoted to your writing career. 1. It reduces the odds that you’ll lose crucial e-mails. Don’t let an agent’s request to see your manuscript get lost in a torrent of spam! 2. It’ll be easier for you to find old e-mails. For example, you might need to check which agents you’ve already submitted to. That will be much harder if you have to sift through hundreds of unrelated e-mails. 3. Your default e-mail address might not be professional enough for business use. No offense, “SuperheroBoi24,” but “JohnBryant” will raise fewer eyebrows in the editor’s office. Also, it makes it much easier for me to tell at a glance whose email is whose. As a rule of thumb, your work e-mail address should be based on your first and last name (or possibly your pen-name). 4. You can give out your writing e-mail address to strangers without compromising your privacy. If you have a website, that will help keep you accessible to your readers without making your default e-mail address public. For example, you can contact me at superheronation-at-gmail-dot-com. 5. It’ll reduce confusion if you use a pen-name. Sign for my comic book mailing list! Hello. I’d appreciate if you’d take 3-5 minutes to sign up for my mailing list, if you haven’t already done so. Everyone on the list gets a chance to win a free, signed copy of SN #1 when it comes out. Also, having many interested readers will hopefully help me get published. Thanks for your support! When your team is putting together the comic book, you need to identify potential problems as soon as possible. If you decide that there’s a problem with the outlines but you’ve already gone to coloring, you’ll have to throw out some coloring work and probably some inking. Here are some problems that you need to spot early. 1. Check for continuity. Are the dimensions of the room consistent? Are the characters consistently portrayed? Are the characters as tall and wide as they’re supposed to be? Also, in the toning and coloring stages, please make sure that the lighting sources are consistent. 2. Character placement. Does the placement of the characters make sense? For example, if two characters are walking somewhere but only one of them knows the way, he should probably be in front. Does each character have enough space to perform his later actions? For example, we once had to redo a page because we were boxed in by the walls–it was impossible to have a superhero drop behind a character that was leaning against a wall. 3. Are the character expressions consistent with their lines of dialogue? One particularly tricky area here is when the character’s emotions change dramatically mid-panel. If your script goes something like this, you’re screwed. WIFE, annoyed: Your boss kept you late tonight. What gives? HUSBAND: I got a promotion! Since it’d be very difficult to show the wife being annoyed and excited at the same time, this panel is pretty much doomed. This is a problem that you need to solve before the page goes to your artist. For example, you could break this into two panels so that she can emote her annoyance and excitement separately. 4. Is the amount of dialogue consistent with the panel’s pacing? For example, if you’re doing an action panel of someone leaping at an enemy, giving them 25+ words of dialogue will damage the pace. No one can plausibly say that many words in the span of a jump. Too many words will make the action feel slower and less exciting than it should be. As a rule of thumb, the more intense and involved the action, the fewer words you should use. 5. If something changes, like a character drawing out a prop or something, is it clear where the change came from? For example, if John is unarmed in panel 1 and wielding a gun in the next, readers might wonder where the gun came from. You could solve that by adding an intermediate panel of him reaching for the gun, or by using motion lines to show that his hand is moving from where his gun used to be. Alternately, just show time passing or the scene changing. 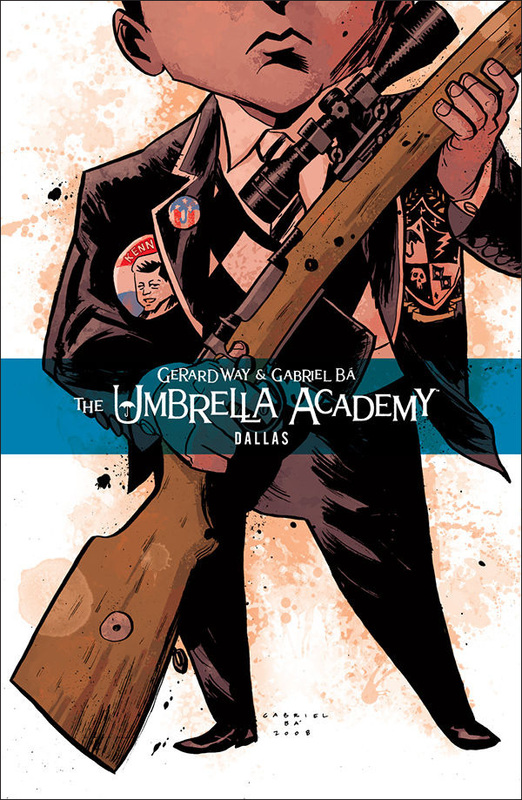 For example, if panel 1 shows us a police officer driving with his gun holstered, it’ll make sense if his gun is drawn when he gets out to storm a building in panel 2. We didn’t see him draw the gun, but the situation has changed–now he’s in a much more dangerous situation. 6. If a character has a prop or accessory, does it appear consistently? It’s really easy to lose track of what each character is holding. Be careful. Did this article help? If so, please submit it to Stumble! How to Use Semicolons: A Comic! I don’t know what is geekiest: that someone did a comic about how to use semicolons, that I linked to it, or that I have a punctuation category. Opening with the characters in combat can be tricky because the characters can’t speak as naturally. For one thing, if your superheroes have secret identities, they’d be bloody stupid to blab about their day jobs when they’re surrounded by enemies (more on that later). The fact that I found this amusing is probably my body’s way of telling me I shouldn’t stay up this late. The the of of (41.4%)–what, you don’t like it? Darn it. Next time, I’m writing fantasy. –The protagonist(s) don’t have significant flaws. (For more help on flaws, please see this and this). –The names are goofy and/or wildly hard to pronounce. I’m looking at you, Anamamana’Qupy. For more help, please see this. –Characters act the way the author needs them to, not because they have a compelling motivation or logic. “Let’s split up to cover more ground!” Please see #3 here. –The main character(s) don’t make mistakes or face no consequences for them. Guardian angels are a red flag here. –The main characters don’t have setbacks. If the villain can’t beat the heroes once in a while, he will probably be pretty disappointing. Also, if the villain defeats the heroes in combat, don’t just let them go. –The main characters don’t have distinguishing traits. If that’s a problem, please see this. –The characters don’t have urgent goals. Please see #3 here. –The protagonist is hated by an antagonist for no discernible reason. Common offenders include teachers, bullies and adopted parents. If you go down this path, at least make them stylish. Thanks. –The author focuses on visual details rather than establishing anything interesting about the character. In particular, eye color and hair color don’t say all that much about a character–I’d recommend focusing on these details instead. Hopefully your writing sounds more interesting than this: “I called my agent for lunch. I went to Panera. I tried to find him there but he was late.” This is just a bland list of facts. As a writer, it’s your job to make the story as interesting as possible by bringing in details that shake up the narrative. One possibility is opinions. In the above passage, the narrator doesn’t have any interesting opinions or any other thoughts about what’s going on around him. He doesn’t have to be that invisible. My agent was late to lunch. Probably getting seduced by some cold-eyed harpy with a Twilight-meets-Eragon manuscript. Sparkly dragon vampires. He fell for bestsellers every time. Notice that the narrator/author hasn’t said anything about himself, but he has shown much more about his personality and why he’s an interesting character. We also learn more about the missing agent, even though it’s all just opinion. PS: If you can remove unnecessary details, like where they were meeting for lunch, please do so. Alternately, find a way to make the detail useful. please check it out anyway. Sign up for my comic book’s mailing list and win a prize! If you’d like to get on the mailing list, I’d really appreciate that! It’s free to sign up and I’ll send you an e-mail reminder to buy the book whenever it comes out. Also, there’s a prize! One lucky person on the list will receive a free signed copy. Thanks for your help. Signing up will help me get published because it indicates that I have enough waiting customers to turn a profit. 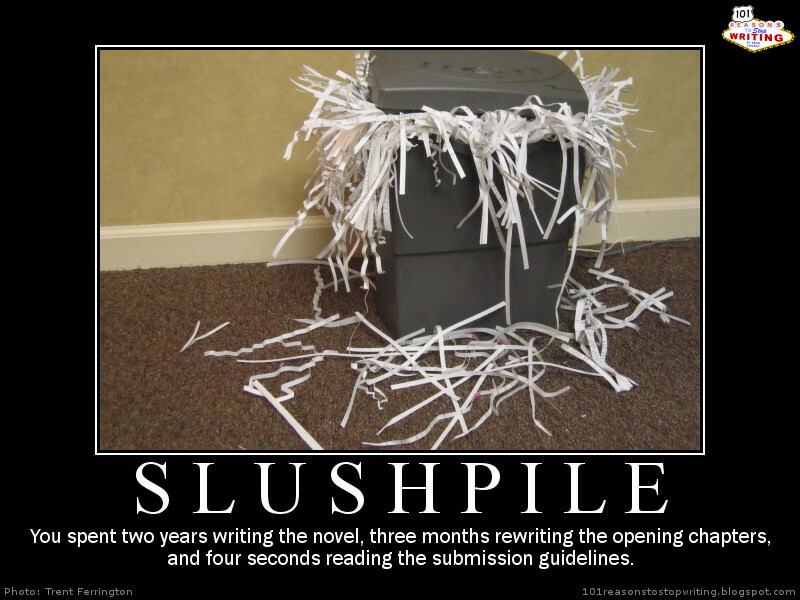 How Long Should Your Novel Manuscript Be Before You Submit It? The shortest, most cheesy answer is “however long it takes to tell the story.” Unfortunately, if it takes you hundreds of thousands of words to tell the story, getting it published it will be practically impossible. According to Chuck Sambuchino, the most publisher-friendly length for an adult novel manuscript is between 80,000-100,000 words. Science fiction and fantasy authors usually need a bit more space for worldbuilding, so he says the ideal range for them is between 100,000-115,000 words. However, Chuck is sort of working for the Devil, so I’d feel bad if he were my only source for this post. Colleen Lindsay, a literary agent at FinePrint, has similar guidelines: around 100K for epic fantasy or sci-fi, 80-90K for thrillers and 80-100K for crime fiction. Also, she’s not in league with Lucifer. Both Chuck and Colleen emphasize that there are exceptions, like first-time novelists publishing 200,000 word behemoths. But such exceptions are extremely rare. If you try going well above or below the usual range, your writing needs to be extraordinary. I would not recommend doing so unless you are absolutely sure that your story cannot work at a more conventional range. UPDATE: If you’re writing for a younger audience (YA, middle grade, picture books, etc), please see this. Since this is a website mainly about superhero writing, I should probably tie this comedy video into superhero writing to make it relevant for you. Well, this video might help you write a superhero who’s really a journalist in The Matrix cutting off lighthouse operators’ heads with laser beams. Relevant enough? (Caution: the language is a bit rough). Please read the comments below. Thanks! What I’m writing: Flyover City! is a novel told in blog-form. The main character is a 28 year old slacker-type from Denver that would be a bit of a comic book geek in real life. In the world of the story, however, superheroes are real– so Newsweek and Time Magazine feed his fix just fine. Best references: Pop novels like “Microserfs” and “High Fidelity” are as much of an influence as “Hitchhiker’s Guide” and “Soon I Will Be Invincible”. I SWEAR I had the idea before comics like Astro City, Love Fights, and Marvels came out — but those are good comparisons. What do you think about these pencils? Below the fold, I have uploaded Rebecca’s pencils for the five sample pages I’ll be submitting with my comic book script. I really like how they’ve turned out! What do you think? (If you’d like to see the script for these pages, please see this comment). I haven’t come across too many comic book writers that work with literary agents. However, that doesn’t mean you can’t find a literary agent for your comic book. For example, Bob Mecoy wrote me that he’s sold several projects to DC Comics as well as many more to book publishers and their affiliates (such as FirstSecond, Three Rivers, Lerner, Aladdin, and Abrams ComicArts). So, if you’re absolutely dead-set on selling to Marvel or DC, pursuing literary representation may be a strong option. Marvel and DC do not accept unsolicited submissions. However, if you have an experienced agent, he may be able to use his own credibility to convince them that your comic book is worth considering. Here are some other pieces of advice from Bob. B. MAC: What are some of the most common reasons you pass on graphic novel and/or comic book submissions? BOB: Poor storytelling, telling a story that I’ve seen a hundred times before, telling a story “unlike anything you’ve ever seen” which is unlike anything I’ve ever seen because of a series of arbitrary choices, lack of understanding of the market, slavish service to the perceived market, lack of originality, lack of understanding of my taste. B. MAC: How long does it take you to reject a typical script? BOB: It takes as long as it takes. If there seems to be something here, I research the category, the writer and/or artist and the comparables or competition before making my final decision. Here are my thumbnail sketches… what do you think? I’ve uploaded the thumbnail sketches for my five sample pages on Flickr. If you hold your mouse over a panel, you can read the panel description from the script. What do you think? My freelance work is picking up, so I don’t think I’ll be around very much today or tomorrow. If you’d like me to look at something as soon as I get back, please leave me a comment somewhere reminding me what you’d like to look at. 1. Diligence. A novel manuscript usually has 70,000+ words, most of which will be rewritten many, many times. We’re talking about thousands of hours of work to complete a first manuscript that rarely earns much more than $5000. (Happily, the pay tends to improve as you accumulate readers). 2. The ability to learn and improve. Look at something you wrote 2-3 years ago. You’re much better now, right? If you’ve plateaued even before getting published, you’re probably dead in the water. 3. Voice and authorial confidence. “John shot George. George fell down. John had won.” Ick. Don’t just tell us what happened–tell us with style. A query is a page-long business letter introducing your novel or comic book proposal to an editor or agent. Here is some advice that will help you write a convincing query. 1. What goes with the query? A novel’s query is usually accompanied by a partial manuscript (~50 pages) and/or a 2-5 page synopsis. If you’re writing a comic book, you’ll probably send in a cover letter– a page accompanied by some combination of the synopsis, the full script of the first issue and art samples. (Follow the submissions guidelines, obviously). Cover letters are very similar to queries, so I’ll refer to both as queries for simplicity’s sake. 3. Most queries include the following: an introductory paragraph/hook, a body paragraph summarizing the work in a clear and interesting way, 1-3 sentences about your writing qualifications, and contact information. Don’t worry too much about your writing qualifications. It’d be nice if you had them, but it’s not a deal-breaker for fiction writers. Superhero Nation specializes in writing advice related to novels and comic books. Are you looking for advice about how to write movies, TV shows, video games, poetry or songs? If so, I’d recommend asking professionals (or at least well-read amateurs) that actually know your field. Here are some tips about how to get advice from professionals in your field. 1. Read some how-to books. For example, I did a quick Amazon search for “video game jobs” and there were 654 results. “Screenwriting jobs” got 234 results. Pick out a few that look relevant. 2. People love talking about themselves, so it’s frequently effective to ask a professional how he entered the field. He/she may offer a few tips about how you might get a job. You can find industry professionals on LinkedIn or by checking relevant departments at a university near you. For example, if I were interested in becoming a Hollywood writer, I might ask professors in Notre Dame’s Film, Television and Theatre Department. What do you think about this query letter for Superhero Nation? A query is a page-long letter used by a novelist or comic book author to interest an editor and convince him that the writing is promising enough that he should spend the time to look at the sample chapters (for a novel) or script (for a comic book). What do you think about this query letter? It’s been a normal day for IRS Agent Gary Smith, besides the car-bomb. And the US Marshals threatening to send him on a one-way trip to Alaska. And the revelation that everybody he knows has a pretty good motive to murder him (even besides the fact that he’s an IRS agent). His only chance of surviving with his sanity intact rests on joining a top-secret spy agency and partnering with a mutant alligator whose powers of deduction make Scooby Doo look like Batman. Superhero Nation is a wacky mix of an office comedy and national security thriller. I’ve enclosed the script for the first issue, five colored and lettered sample pages, and the synopsis for the five issue arc. My main writing qualifications are that I’m a communications contractor for [AGENCY NAME] and the webmaster for a superhero writing advice website with hundreds of thousands of readers. Thank you for your time and consideration. I can be reached at [PHONE] or [EMAIL]. I sent out my script to Rebecca for thumbnails tonight. I’ll submit as soon as the five sample pages are fully inked, colored and lettered (preferably within 2-4 weeks). Below, I’ve included the script for the five pages, 27-31. Why Is It So Important for Authors to Read Widely? 1. Because the editors and publisher’s assistants that pick manuscripts do. When you submit a novel manuscript or comic book script to a publisher, the person evaluating your submission has probably read hundreds of novels or comic books in your genre and rejected thousands more. Being familiar with many works by a variety of authors makes it somewhat less likely that your writing will be unacceptably cliche. 2. The more sources you have, the less likely your book will feel like a ripoff. If you’re writing a fantasy book and half of the fantasy authors you’ve read are named Tolkien or Rowling, it will show. Everybody’s familiar with famous authors, so it’s easy to detect their influence on a work. In contrast, if you’re familiar with a wide variety of obscurer authors, your subconscious will steer you away from easily-identifiable knockoffs. This is the second article in a series. Please see part one here. 9. Getting published is really, really hard. Publisher’s assistants at major publishers go through hundreds of unsolicited manuscripts a week. Out of every thousand or so manuscripts, they’ll probably send on around five to an editor for further consideration. That means PAs reject about 99.5% of manuscripts. Of the five surviving manuscripts, usually one or two will eventually be offered contracts. 10. Publisher’s assistants do not have the time to pore through each manuscript. They are not on your side. They have to get through hundreds of manuscripts each week and the only way to do that is to throw out manuscripts as fast as possible. Most manuscripts do not survive to page two. If something does not make sense on page one, they will throw away the manuscript long before you’ve explained what is going on. The story absolutely needs to be clear and engaging from page one. 11. SPELLING, PUNCTUATION AND GRAMMAR ARE EXTREMELY IMPORTANT. They are the difference between conveying that “I am a polished writer that will be easy to publish” and “I am not familiar with basic writing craft.” If your writing has more than a few typos, you are dead on arrival. Even one typo per page would raise eyebrows. Remember, around 99.9% of unsolicited manuscripts get rejected. Don’t give the publisher any reason to drop the guillotine. Characters doing a usual activity in a way or setting that is unexpected. For example, someone would look pretty mundane smoking a cigar, but what if he were smoking right next to a corpse? Probably much more interesting. 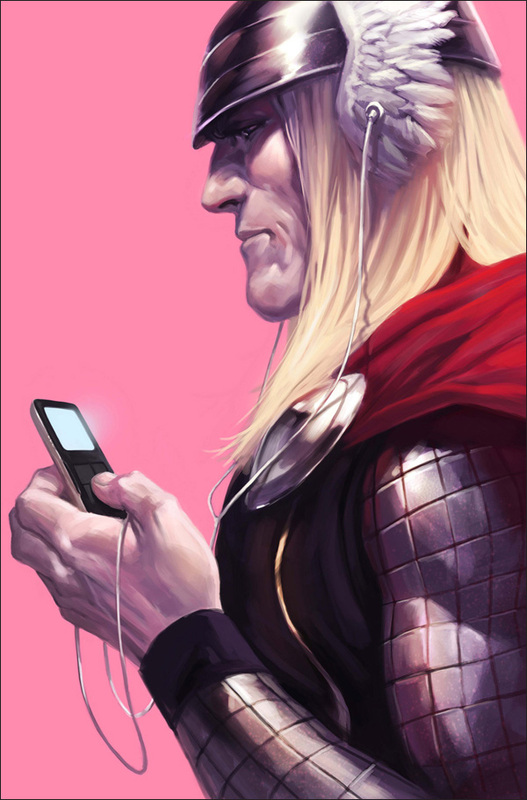 Holding an iPod is boring, but Thor holding an iPod raises an interesting contrast between tradition and modernity. Many badass detectives and criminals carry guns, but it’s distinctly more disturbing if it’s a kid holding a massive sniper rifle… with a Kennedy campaign button. A guy holding a briefcase is the epitome of dullness. But a guy handcuffed to a briefcase or a mutant alligator holding a briefcase is more striking.